In a food processor, combine 1¼ cups corn, the jalapeño, onion, cilantro, and garlic. Pulse until very finely diced, but not completely smooth. In a large bowl, combine the processed mixture with the remaining corn, all spices, cheese, cornmeal, baking powder, and eggs. Mix until fully incorporated. Add more cornmeal as needed. In a heavy skillet over medium heat, heat 2-3 Tbsp olive oil. When the oil is hot, form the batter into patties (it should be slightly sticky, but not enough to make this step impossible), and cook in batches. 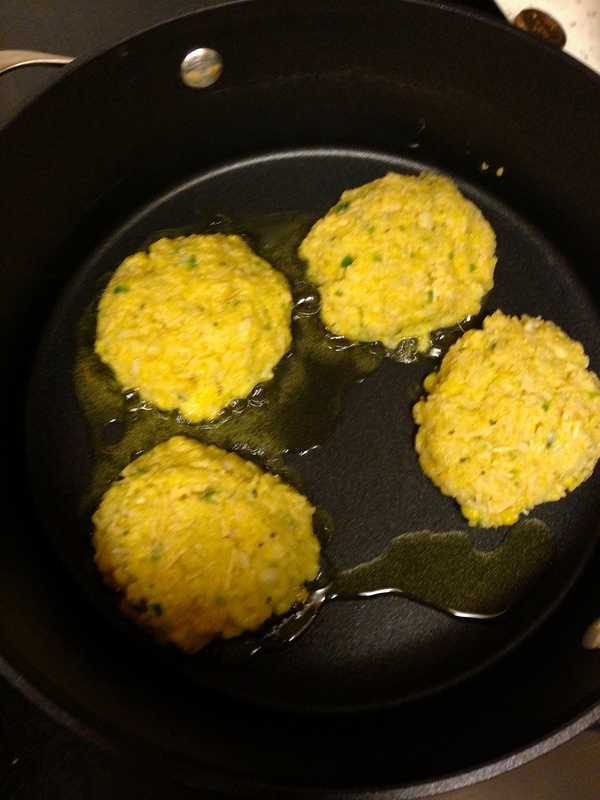 Cook each patty until golden brown on each side, 2-3 minutes per side. Cut 1 avocado and 1 tomato into small cubes. Squeeze half a lime over avocado/tomato mixture season with salt and pepper to taste. 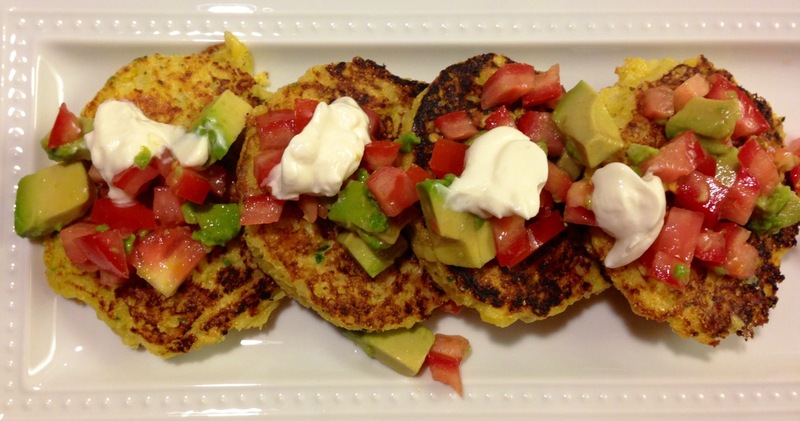 Garnish with Greek Yogurt or sour cream and a lime wedge. 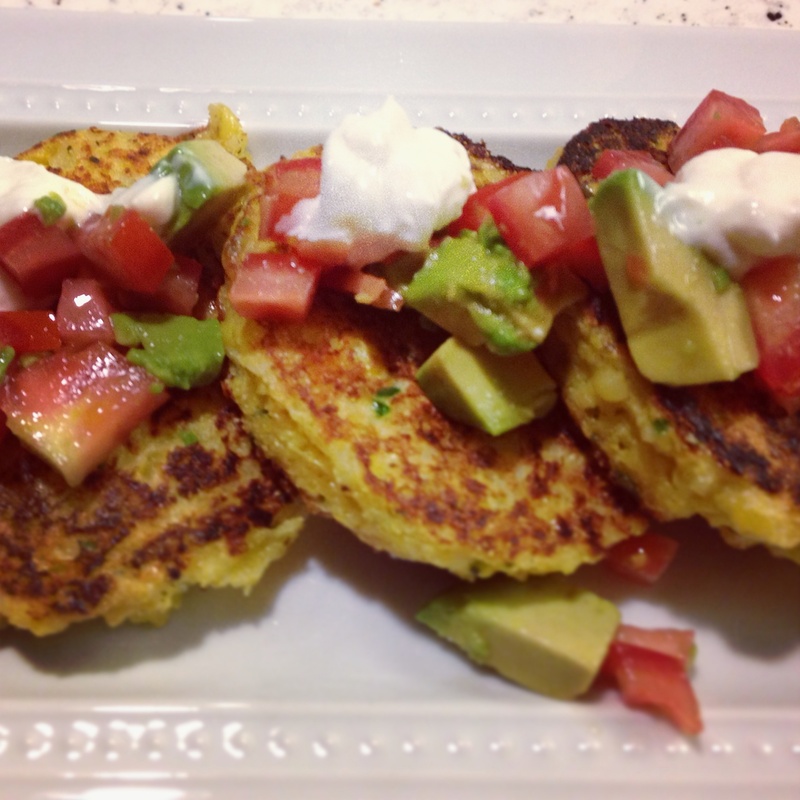 This entry was posted in Appetizers, Recipes, Sides and tagged Corn Fritters, Jalapeno by skibootsinthekitchen. Bookmark the permalink.